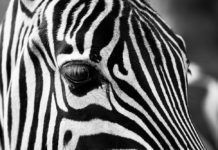 “ When imagination meets the brave”, you get Rinaa Shah. Our very own ‘knight in the shining armor’, Rinaa is commendably the only Indian woman player who plays all around India and abroad . And not only that, she is also a fashion designer! She had her formal training in Fashion Design from New York and an Executive course in Business Management from Harvard. After completing her education, she launched her own fashion label in 1997 with the name- ‘Rinaldi Designs’ that catered to premium high fashion footwear for women & kids. Pioneer in bridal footwear, the brand had its share of top celebrity clientele including the likes of Naomi Campbell, Natalie Portman, Goldie Hawn, Rekha, Shilpa Shetty, Kareena Kapoor just to name a few. 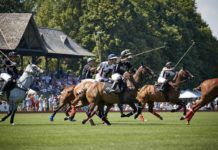 Her interest in polo started around 2009 when a friend took her to a Polo match. 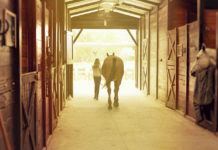 She couldn’t set her eyes off the galloping horses and the men having all the pride in riding them their way. That’s when she decided to take up Polo seriously. The transition from fashion to polo player wasn’t easy. Despite most of her friends and family having doubts, she was very determined to succeed. 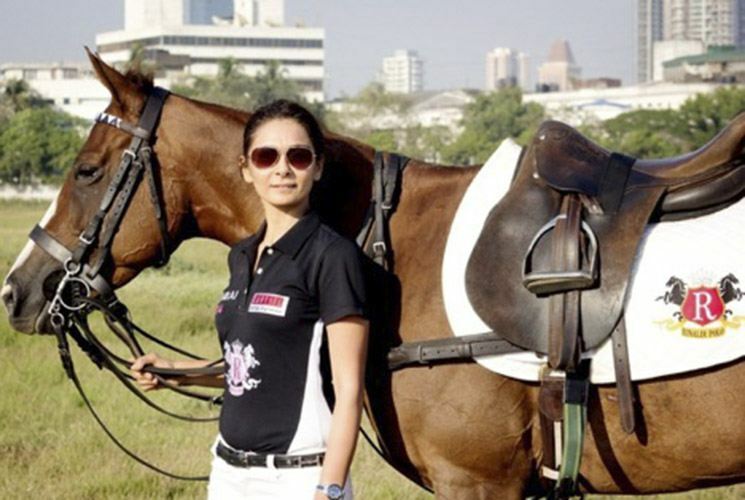 First she concentrated on riding and in 2011 she started Polo training at the Mahalakshmi Race Course in Mumbai. 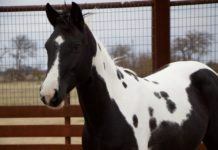 A couple of falls and fractures from the horse during her initial training days made her only more determined. 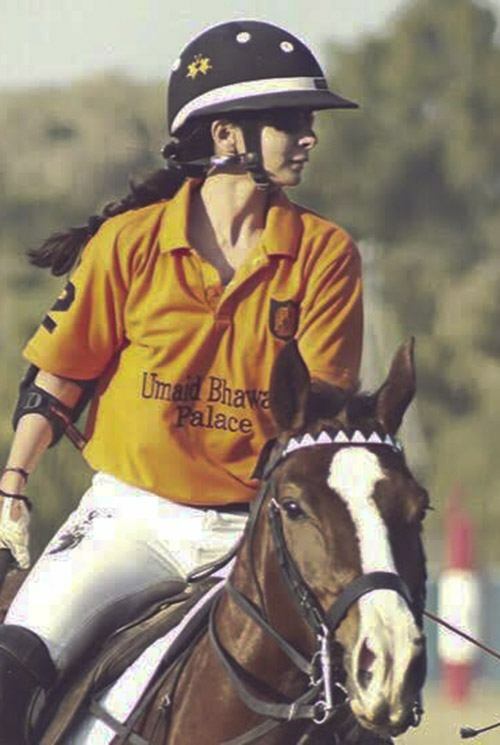 This paid off: after training in Argentina and U.K, she won two beginner polo tournaments in Jodhpur. 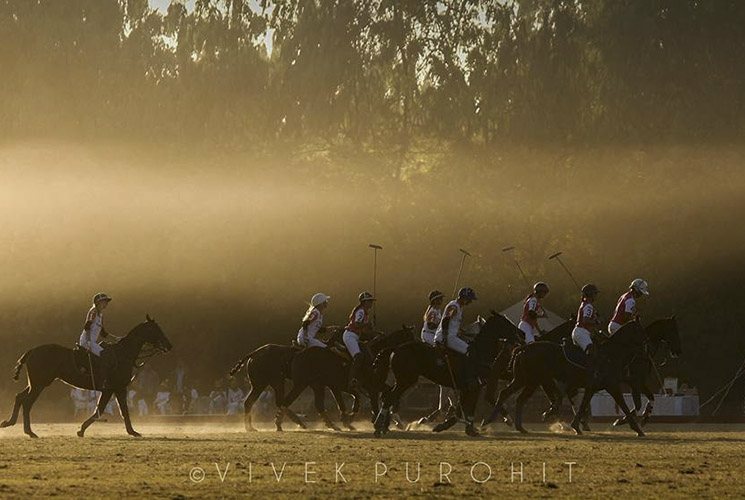 In the last couple of years, Rinaa has been consistent in the polo circuit playing back to back tournaments across the country. 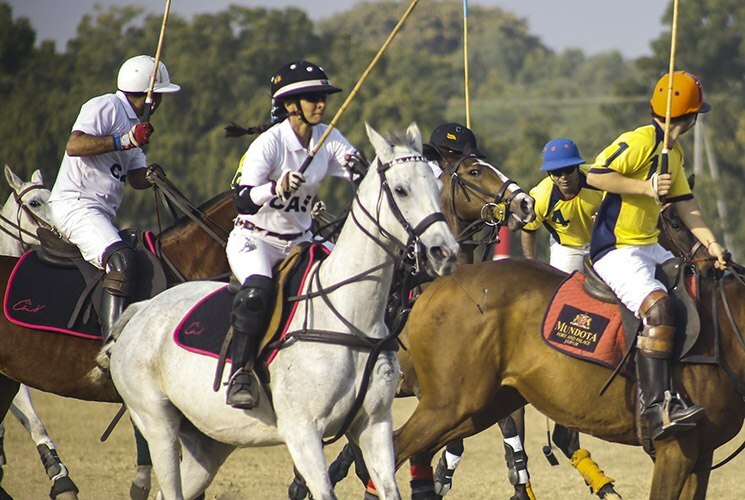 In 2014 she launched her own Polo team under the name ‘Rinaldi Polo’ that features India’s top names including Arjuna Award Winner- Samir Suhag, Chirag Parekh, Gaurav Sehgal and herself. 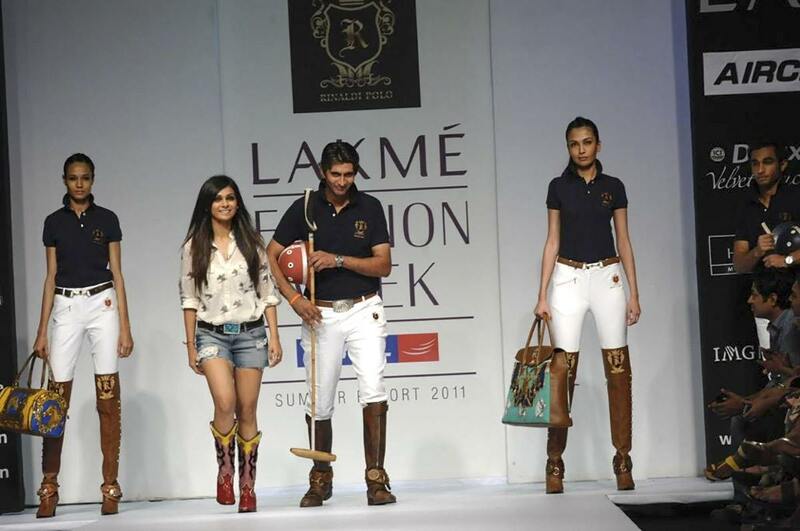 Horse Polo, now an integral part of her life, has started to impact her career & inspire her designs. 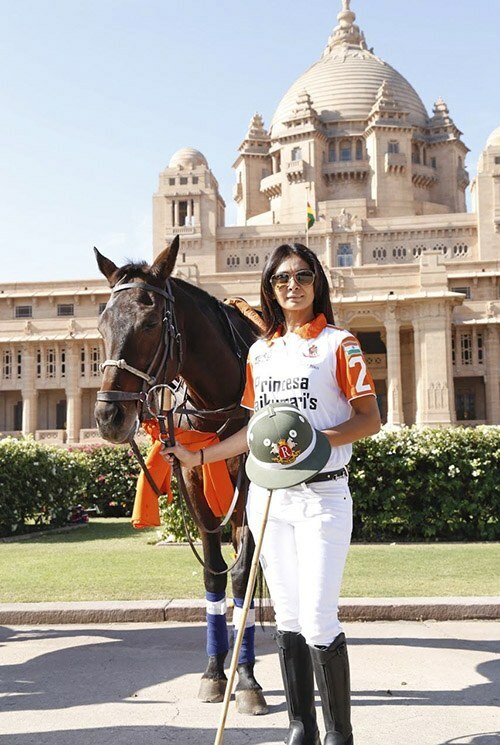 She played recently for the Umaid Bhavan polo Cup , The International Ladies tournament and won the HERMES cup in Jodhpur 2015 December . 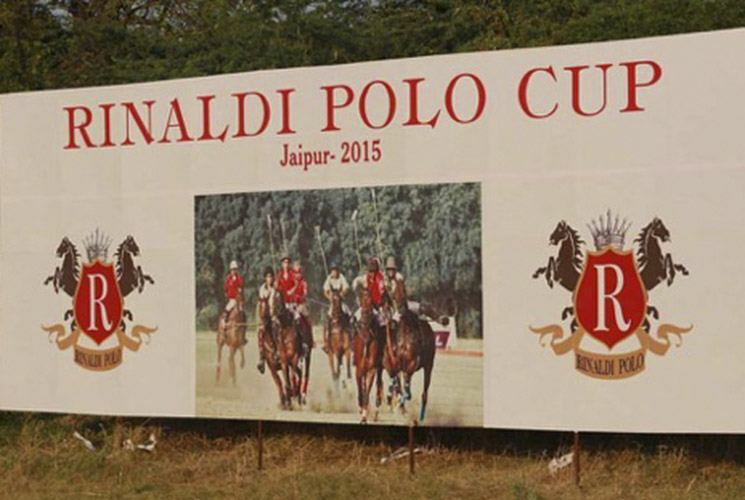 Mumbai 2016 – Rinaldi Polo Team play next in Mumbai March 7-12 with top players like Simran , Shyam and Sunny patel and herself . During the Women’s day which is on 8th March. 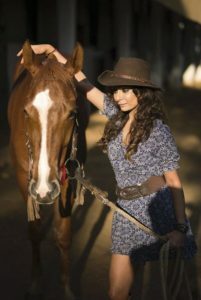 Rinaa was the first designer in India to launch an equine accessories label. 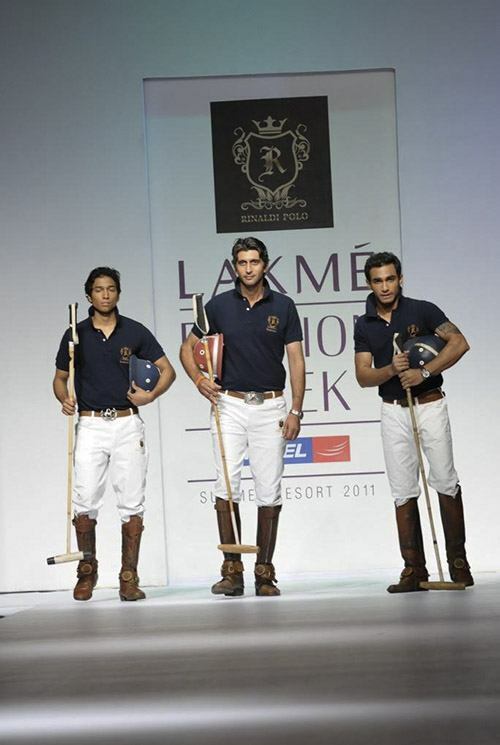 Her ardent love for Polo can be clearly depicted in her designs for Rinaldi Couture. 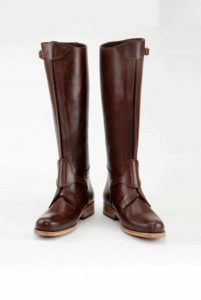 She has beautifully combined the game and glamorized it with her fashion sense in her equestrian inspired line of clothing, shoes, handbags, belts, ties and cufflinks for men and women. 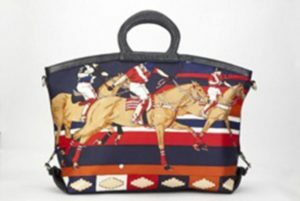 From exquisite vintage handbags to equestrian scarves to boots, belts and t-shirts having enchanting motifs of her favorite animal: The Horse. 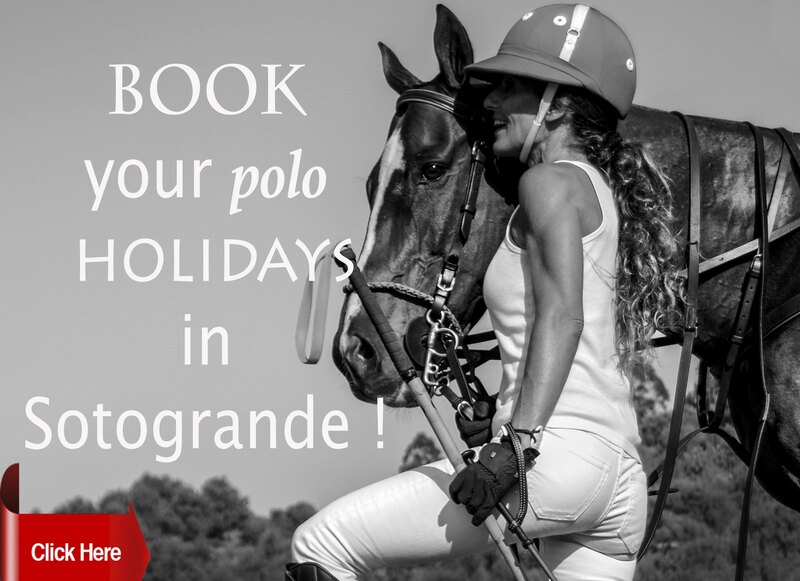 Rinaldo Polo accessories are also being sold in Mexico, USA, Germany and Spain. 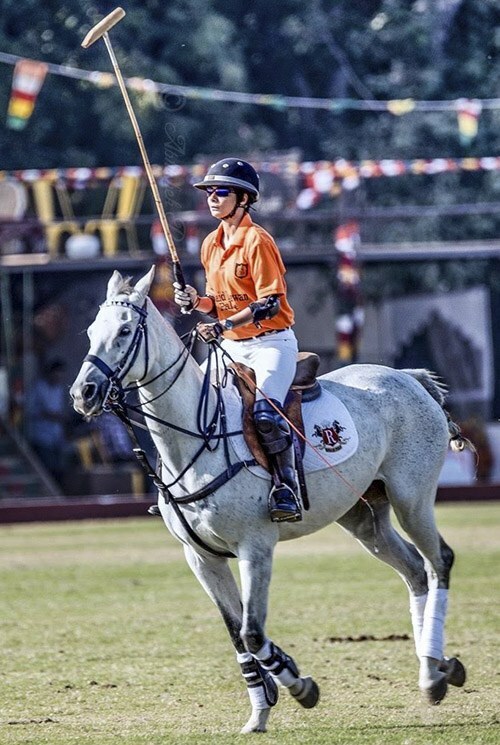 She could never have done this without her family, and few polo players like Vicky Nihalani , Vishal Singh and Suresh Tapuriah who lend her tremendous support to play polo. 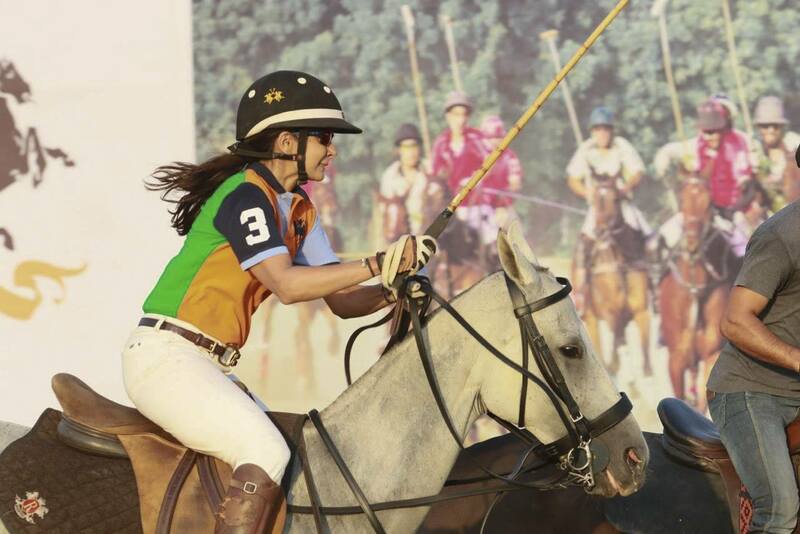 She truly wishes to encourage more Indian women to make way in Polo & help them pursue in anything they have a passion for. As she puts it; “One can fulfill their passion at any age; you just have to want it badly…Nothing is impossible”. 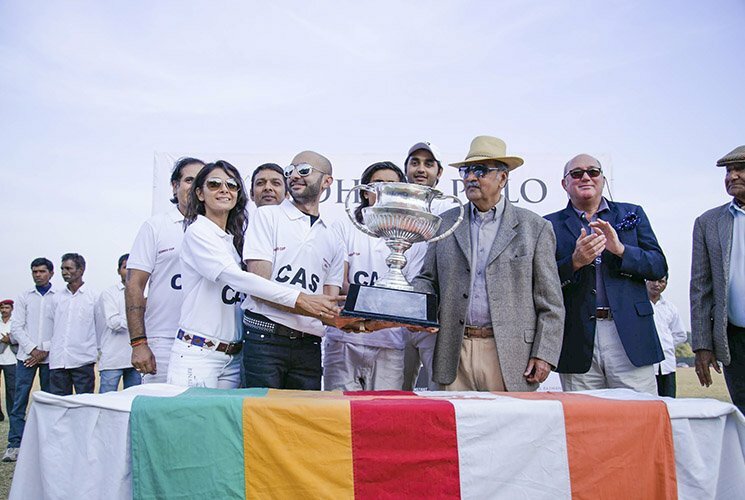 Another promising endeavor from Rinaldi’s stable was the RINALDI POLO CUP that was held on September 15-20, 2015 at Rambagh Polo Grounds, Jaipur. 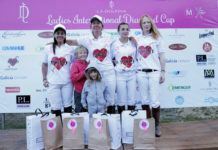 It was a 2-4 handicap tournament that had 12 teams participating and competing for glory. The key motive of organizing the cup is to support & nurture the under 25 young talent from across the country. The Cup would also entail three key awards including “Upcoming All-rounder, Highest Goal Player & Most Valuable Player” to encourage competitiveness & sportsmanship. 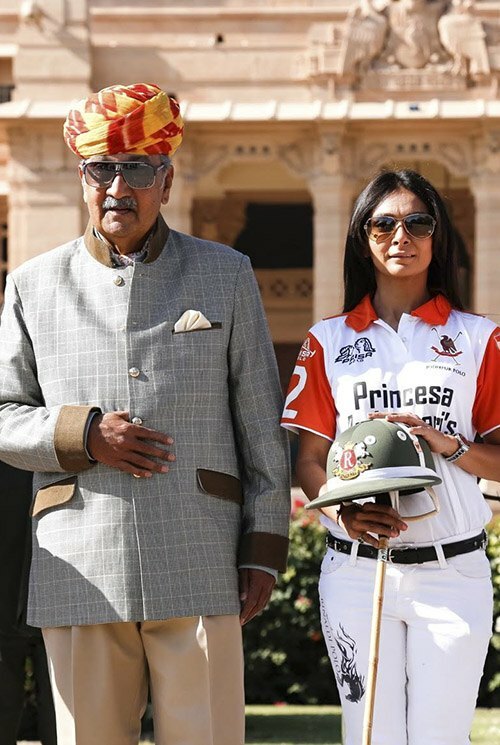 With players of the stature like Maharaj Narendra Singh of Jaipur, Vicki Nihalani, Vishal Singh playing for & supporting the cause, the initiative indeed is one of the most sorted for young polo guns in the country. and curated by Jalpa from Cosmic heart Gallery in Mumbai .